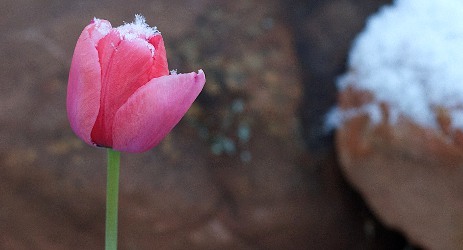 I am vocal about disliking spring. Where I live, there are always a few days in late February that feel like an elaborate set-up from Punk’d. 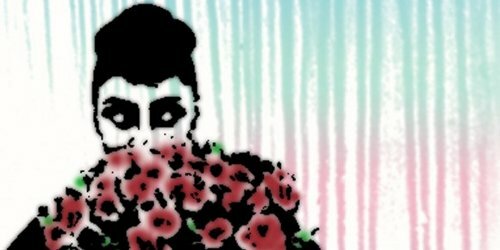 Like newborn babes, they come: the office mates, friendly neighbors, the recently retired. They peer up into the warming blue and wonder aloud, trying to remember which way a hapless groundhog waddled weeks ago. Please don’t take spring’s bait. This year it snowed in April in the colder areas of Europe and North America and fans and news writers seemed to blame poor departed Prince. Let’s face it, in Minneapolis anyway, it usually snows in April. And snow can be the least of our worries. I am a fan of heterogeneity — I like mixed drinks and mixed company, for example — but few phrases freeze the heart faster than that euphemism “mixed precipitation”. Spring also brings wind, rain, seasonal allergies and skies the color of dead fish. Yes, the vernal months provoke a rare ire in me. 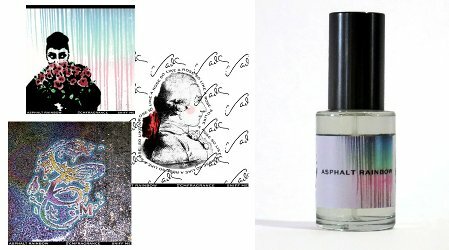 Just when I thought this season’s wave of rose-inspired perfumes had tapered off, one more has come my way, and it’s a very unusual example: Asphalt Rainbow, the second release from Brooklyn-based independent perfume brand Charenton Macerations. This fragrance was developed by perfumer Cecile Hua, and its notes include rose, spray paint (aerosols), galbanum, lily of the valley, lychee, ylang ylang, saffron, magnolia, leather, cistus, asphalt, “detritus,” patchouli, wood and amber.